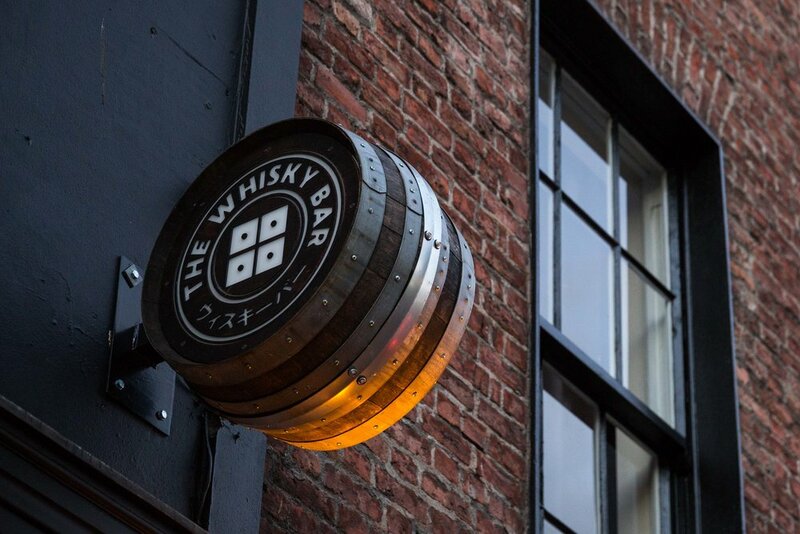 After the success of implementing The Sub-Brand “the Sake Bar” into the “Izakaya restaurant” we looked at what we could do to Yamamori’s other venues and created “The Whisky Bar” at Yamamori’s north city venue. Create a sub-brand within “Yamamori North City” that could be operated in partnership with the restaurant to enhance the diners experience as well as operate independently targeting a different audience than the diners. 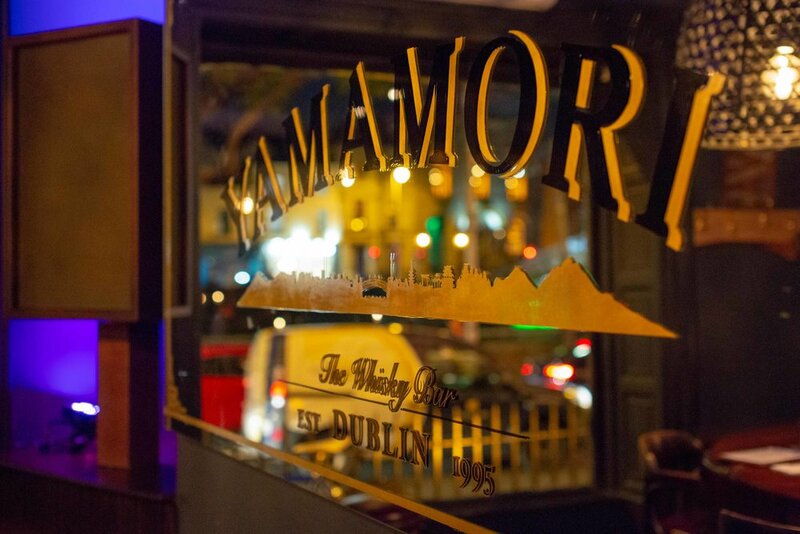 The Brand - Alongside the Yamamori Team we undertook a long assessment on what kind of brand and experience we should create. 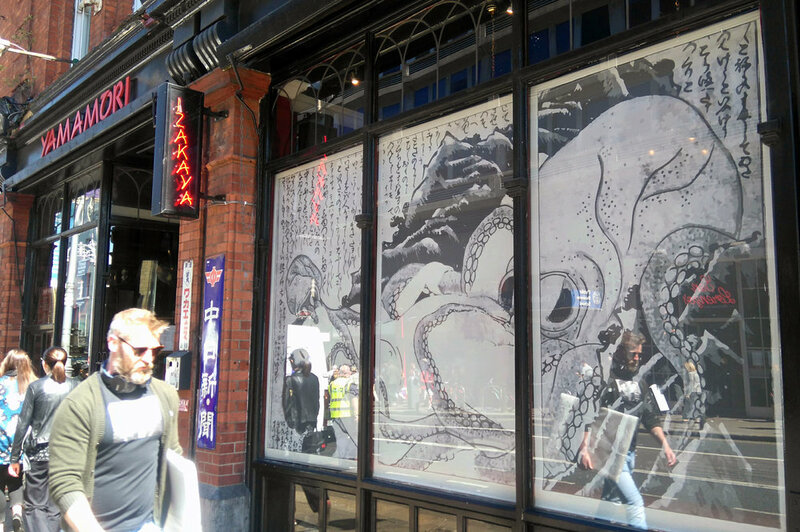 We looked at current popular trends both in Ireland and Japan as Yamamori infuses Irish and Japanese culture to create unique experiences. Physical - We assessed the floor plans of the building for strengths and weaknesses in regards to and how a sub-brand could be installed that would improve the existing floor plan. We installed neon signage and antique globe lights which are technically interior but they were installed with the intention of catching the eye of people outside as well as illuminating specific areas inside. We initially had a logo created similar to the logo you see here but there was something missing and that was the personal Yamamori touch! So we got got one of the waiters to sketch out the symbol for Sake and used his personal handwriting to complete the logo. It worked a charm and his hand writing is forever immortalized in “The Sake Bar” branding! We had an opportunity to do something a little cheeky and went for it as the area was so large it’d be a waste not to print something on it. I used large scale solvent printing and vectorized the famous image of “The Dream of the Fisherman’s Wife” so it could be scaled up. After studying Sake I designed this diagram to help educate people about how Sake is tasted. It was initially intended to go on the mirror but in the end we printed it on the menus and it was a great conversation piece for first time visitors to the bar.